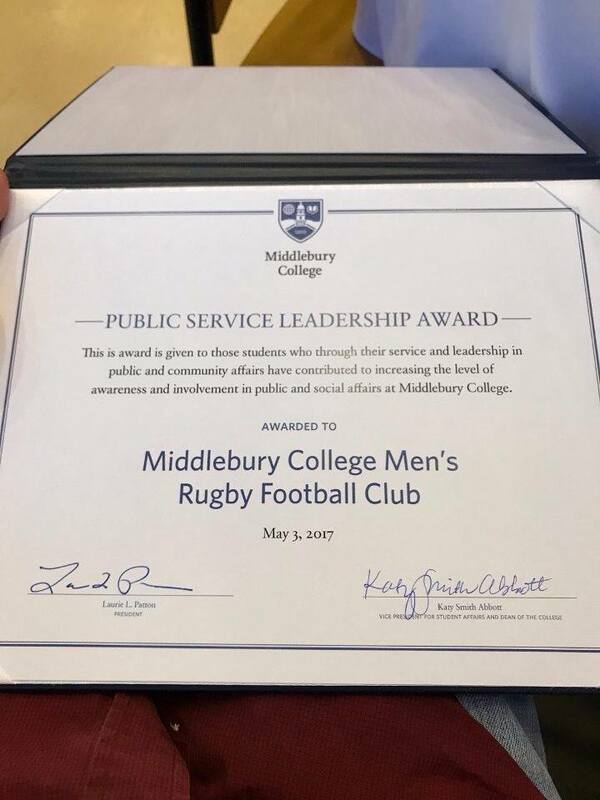 The college presented the MCRC with the Public Service Leadership Award as recognition of the club's outstanding work in the local community. Over the past couple of years, Raouf Belkhir '17.5 and Doug Wilson '19 have worked tirelessly to establish a strong partnership with the Charter House, which provides meals and shelter to Middlebury's underserved population. This relationship supplements a longtime partnership with the Vermont Epilepsy Foundation, an organization that the MCRC has worked with for 13 years. Go Blue! Newer PostThe 2017 Fall Season has Begun!